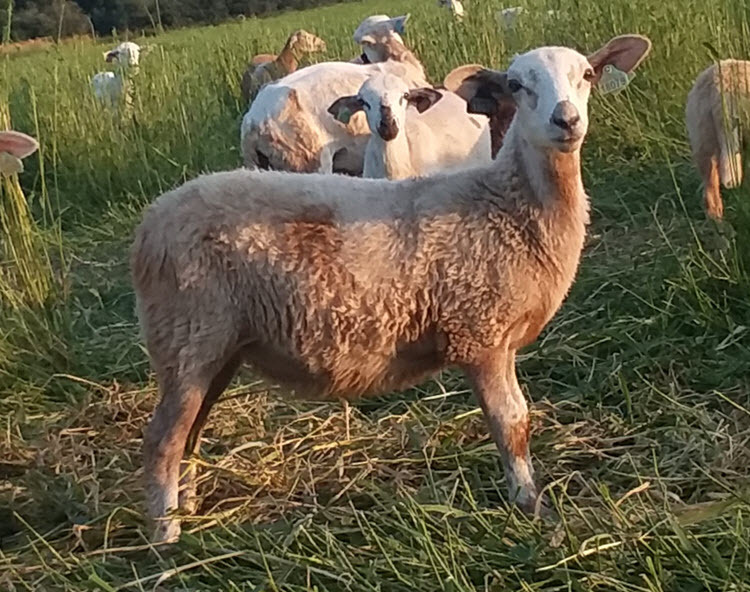 Big-bodied, red roan ewe with really strong growth (top 10% in the country) and good milk scores. Moderate prolificacy, though this girl may sometimes have triplets. She’s got Aspen Mountain (Montana) and Birch Cove (Missouri) genetics behind her, as well as Misty River, now retired from sheep. Photo taken July 2018. EBVs from 2018 lamb crop 120 day weight data. This lamb is weaned and ready to go to a new home today.